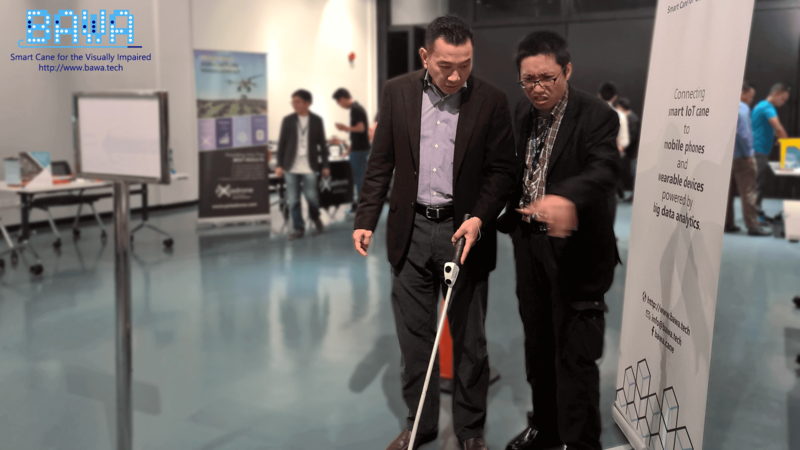 It’s been a week since we pitched and showcased the BAWA Cane at Second Startup Bootcamp demo day that happened at Bangunan UAB, Georgetown, Penang. To this day, we felt special and honoured to be selected to join this prestiguous program organized by TE4P, powered by Aemulus Corporation. A big shoutout to Curry Khoo for your endless patience, wise guidance, and impactful mentorship throughout the bootcamp. We enjoyed the exhilarating, mindboggling, learning experience under the Second Startup Bootcamp. Indeed, it is what it says on their website, equipping early stage startups like ours in the internet of things (IoT) vertical with the right network and resources to be ready to take on the world. Not to mention, it is our pleasure to be acquainted to so many great people during the Second Startup Bootcamp. As a matter of fact, we would love to stay in touch with you. 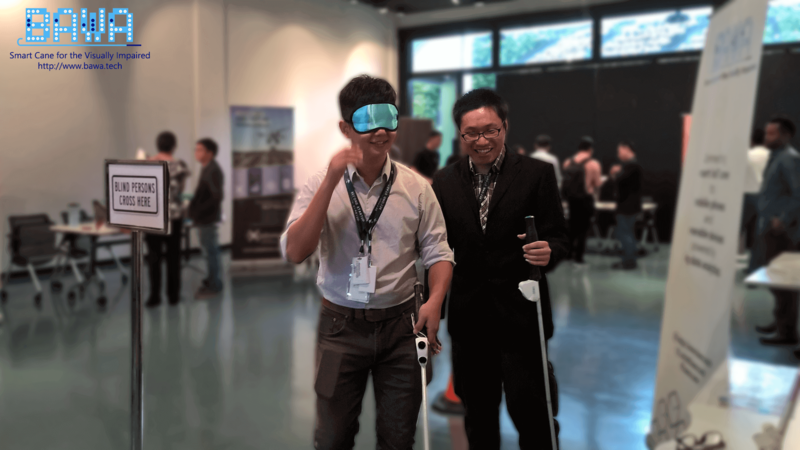 BAWA Cane, a mobility and navigation aid for the visually impaired, that connects to mobile phones and wearable devices powered by big data analytics to provide insights and foresights that enrich and tailor-make each unique user experience. 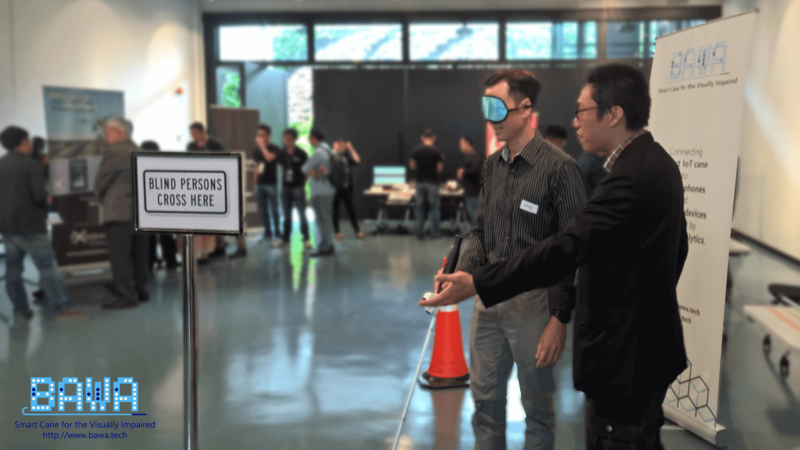 “BAWA Cane is a must-have piece of technology for the blind.” – beta testers in Sarawak Society for the Blind and St. Nicholas’ Home for the Blind, Penang. For more info about the BAWA Cane, click here. As for what’s next, we will be rolling out BAWA Cane mobile app on Android and iOS in the next 9 to 12 months. You may also like to read on how we started our startup journey here. 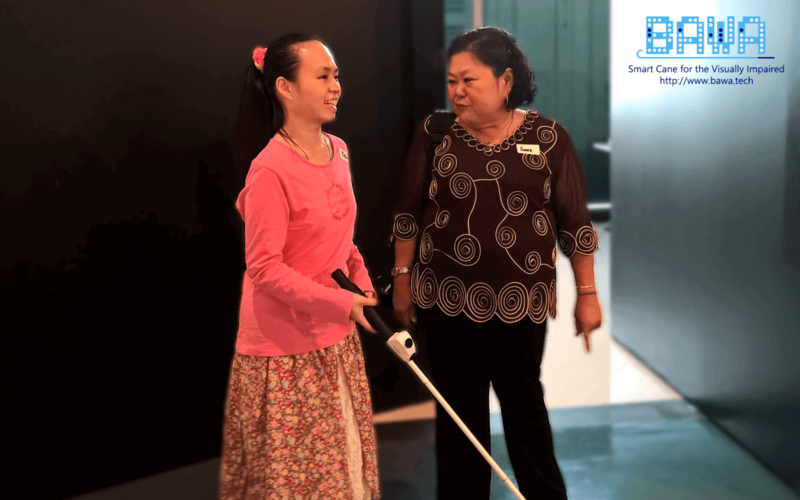 Felicia (born blind), accompanied by Annie Soon (Orientation and Mobility Specialist), experiencing the BAWA Cane.